Looking for a New Construction Home by Lennar? Head to New Jersey! 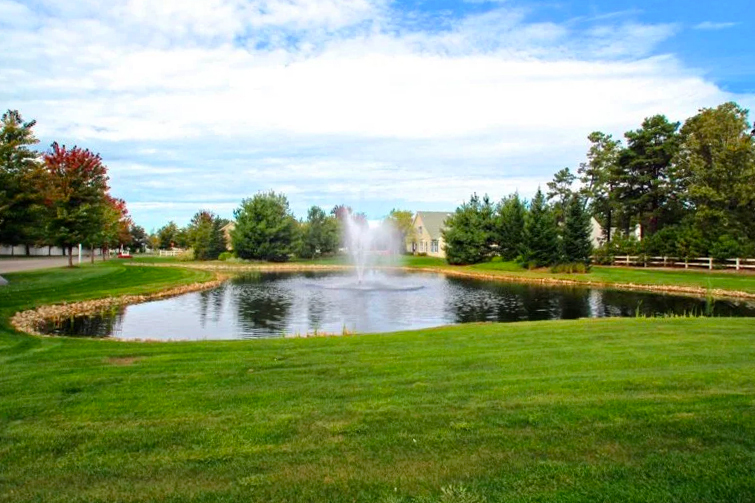 Lennar offers some great homes within active adult communities in New Jersey. After decades of building quality homes with exceptional value, Lennar Homes has a deserved reputation as an excellent builder. While the builder has homes for sale in over 40 markets in 19 states, homebuyers should check out Lennar’s current offerings in New Jersey. Active adults living in the Garden State are surrounded by a variety of attractions, from state forests and national historic parks to beaches along the Atlantic Coast. Another huge benefit is the state’s big-city neighbors, New York City and Philadelphia, both a short drive away. One of New Jersey’s premier 55+ communities is Venue at Princeton Parke, a collection of luxurious homes and amenities in Monmouth Junction. Each new single-family residence is customizable, assuring no two homes are the same, while the neighborhood’s spacious resale options employ an Italian-inspired aesthetic with stucco exteriors and arched windows. The community’s 7,000 square-foot clubhouse, Club Verona, exhibits this continental flair with architectural features reminiscent of a Tuscan village. Residents have access to all the modern amenities of a world-class resort, including an outdoor pool, outdoor amphitheater, walking trails, and courts for tennis, bocce ball, and basketball. With a homeowners’ association providing maintenance for residents’ lawns and shared amenities, homeowners are free to enjoy all that Venue at Princeton Parke has to offer as well as the attractions in the surrounding area. Residents need only drive ten minutes west to reach Delaware and Raritan Canal State Park, a scenic area along the Millstone River that features historic sites as well as trails for hiking and horseback riding. About an hour north of the community is a variety of popular parks and nature preserves are available for day trips, including Morristown National Historical Park and Great Swamp National Wildlife Refuge. Residents are also near the Amtrak station at Princeton Junction, where they can catch a ride to Philadelphia or New York City. Farther south in Whiting, Lennar at Lake Ridge offers a resort lifestyle among the woods of the New Jersey Pinelands. Single-family homes in this 55+ neighborhood are a bit cozier, ranging from 1,448 to 1,936 square feet. With access to an 8,000 square-foot clubhouse, however, residents have all the space they need. Inside, a grand ballroom, fitness center, arts and crafts studio, and billiards room are just a few of the amenities available. Views of the surrounding woods can be enjoyed from the outdoor heated pool, tennis court, and horseshoe pits. Several state forests are in Lennar at Lake Ridge’s backyard, offering endless opportunities for hiking, biking, and picnicking. The nearby Double Trouble State Park contains cranberry bogs as well as a historic village preserved from its days as a cranberry farm and packing plant. For fun in the sun, the beaches of Seaside Heights are just 20 miles away. New Jersey is an excellent destination for active adults seeking a quiet place to retire or a new lifestyle to enjoy while continuing a career. With Philadelphia and New York City within driving distance and plenty of natural resources nearby, homeowners in New Jersey are in a prime location for commuting, traveling, and exploring. Kick off your New Jersey house hunt with Lennar at Lake Ridge or Venue at Princeton Parke.